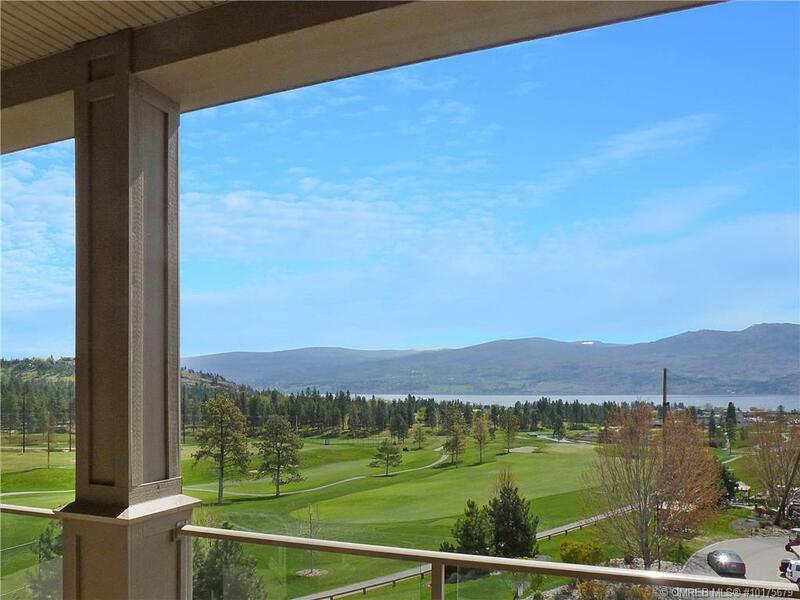 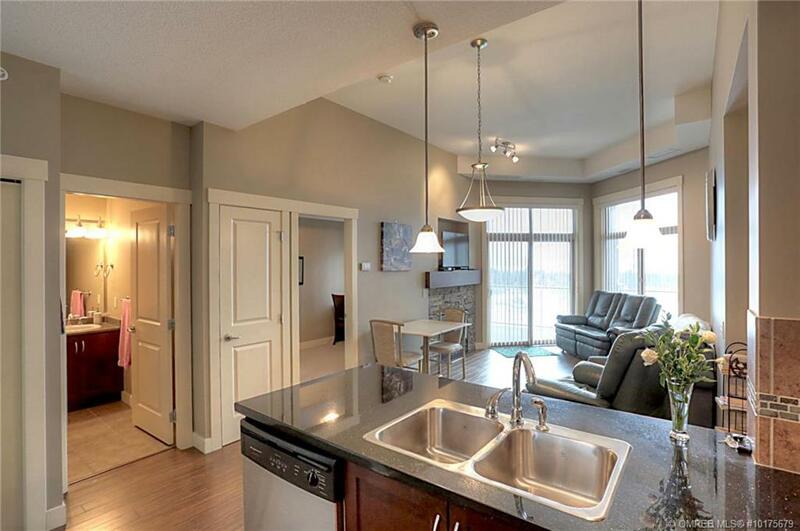 Top Floor condo at Aria with panoramic lake, golf course and mountain views! 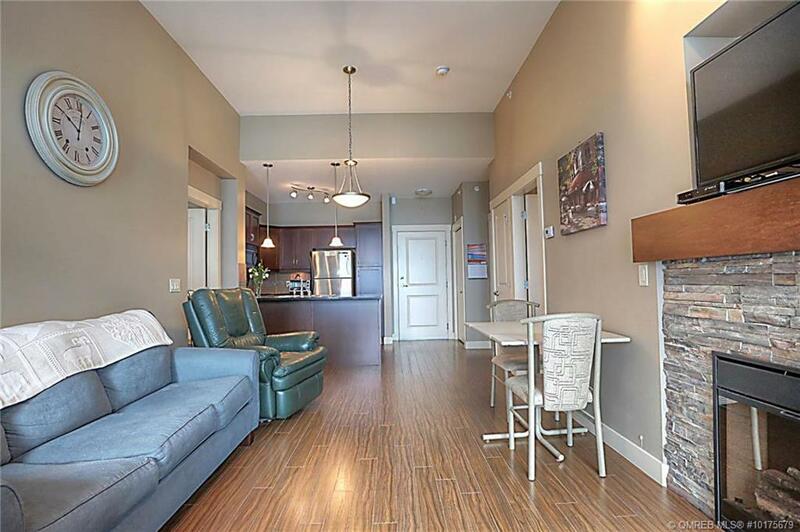 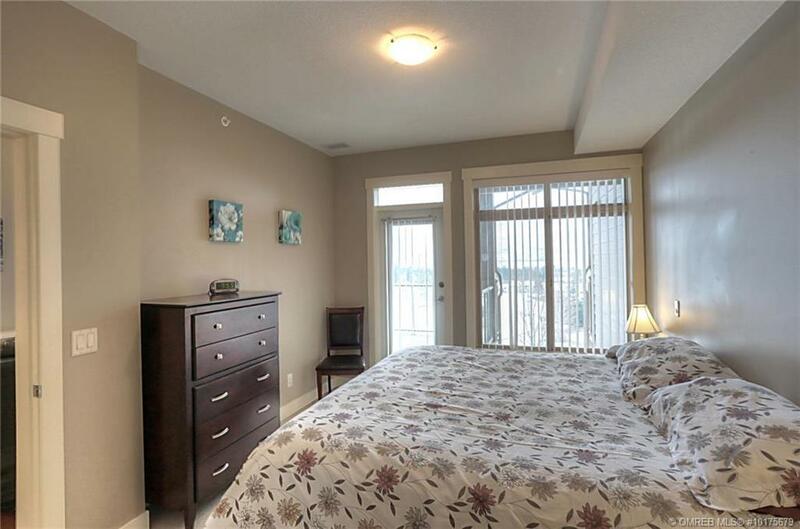 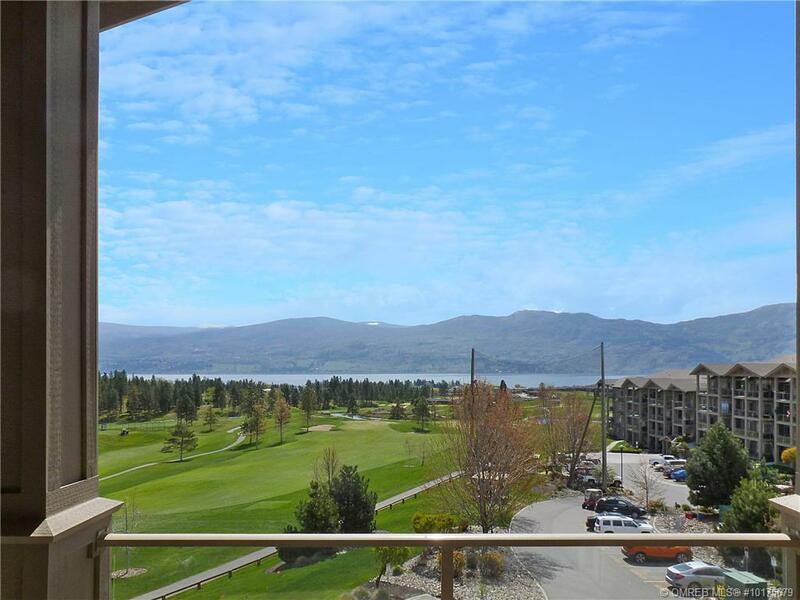 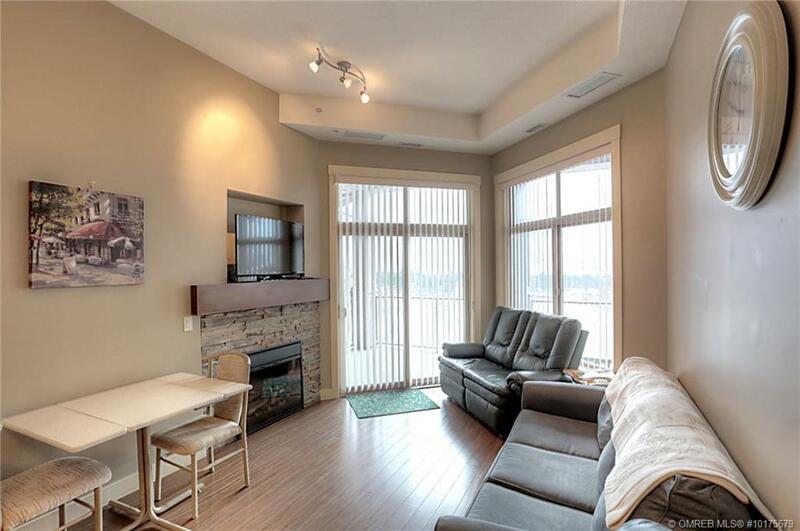 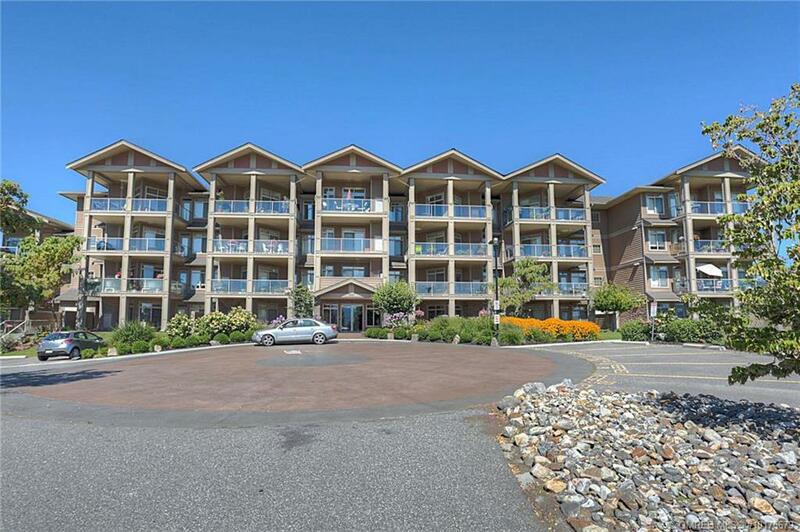 This superb 2 bedroom 2 bathroom unit features a fantastic, private oversized balcony to enjoy the morning sun and views that make you say this is why we live in the Okanagan! 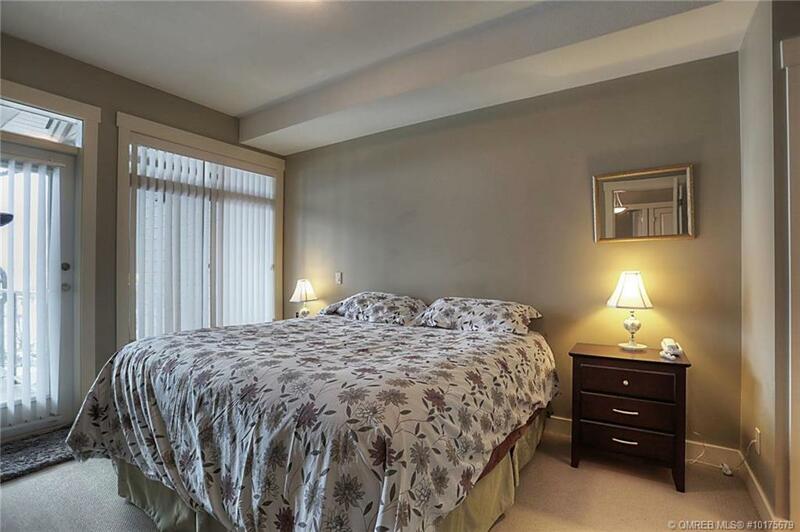 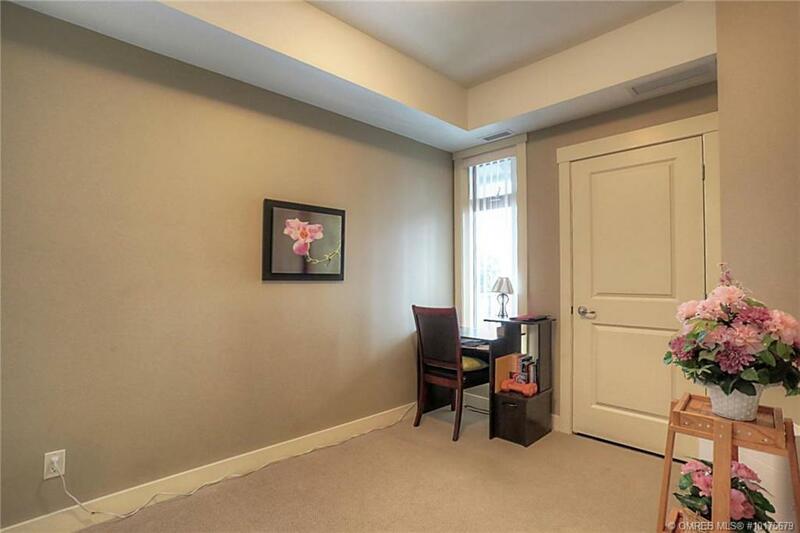 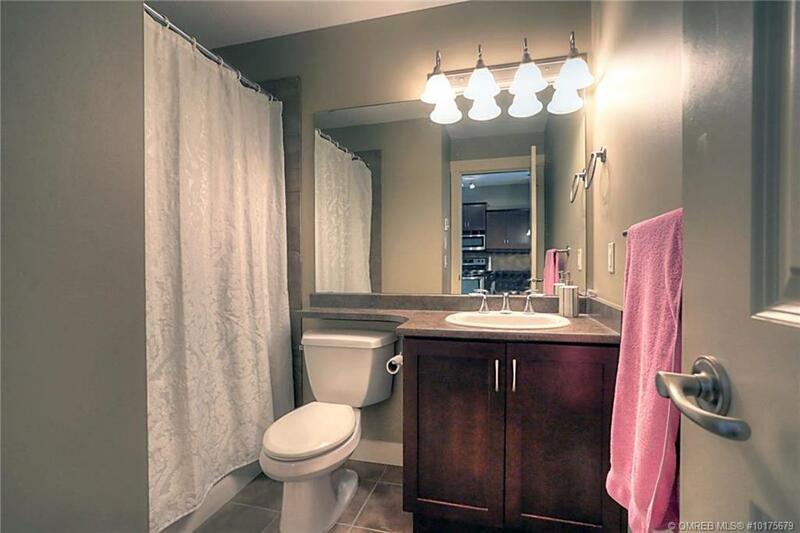 An added bonus to this property is that it has 2 underground parking stalls – very tough to find. 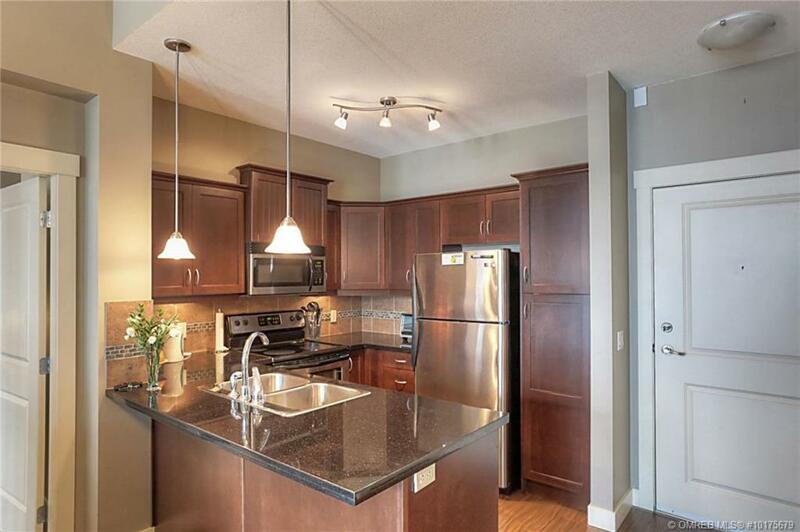 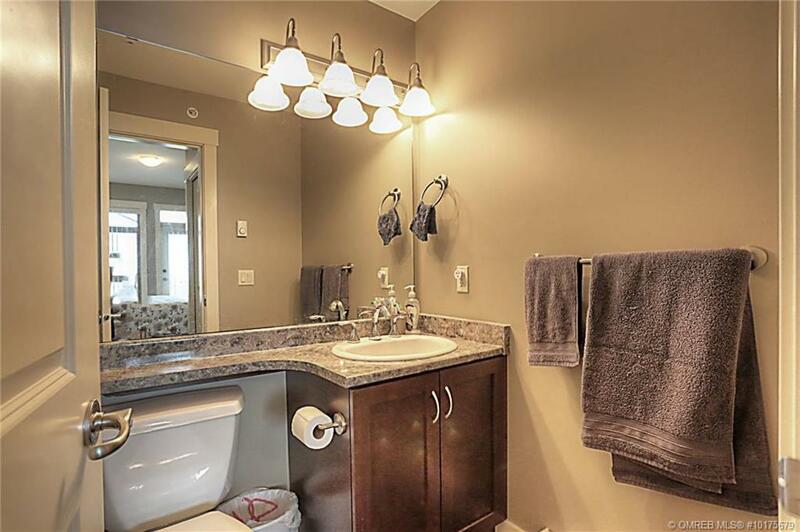 Inside this home shows like new, with sparking stainless steel appliance package and granite counter tops. 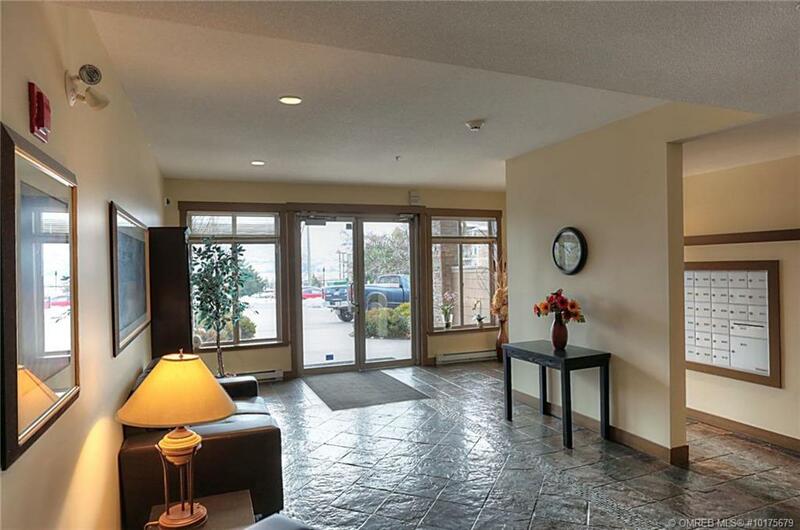 The southern sun exposure allows for a bright feel in the home, which is enhanced by the ceiling height and window size only found on the top floor of the building – and you’ll be comfortable year round as this building features central air cooling/forced air heating. 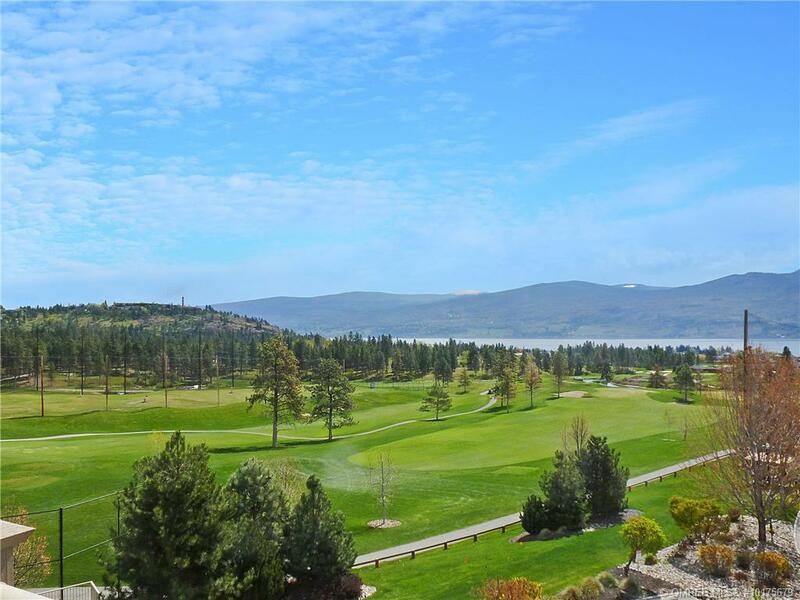 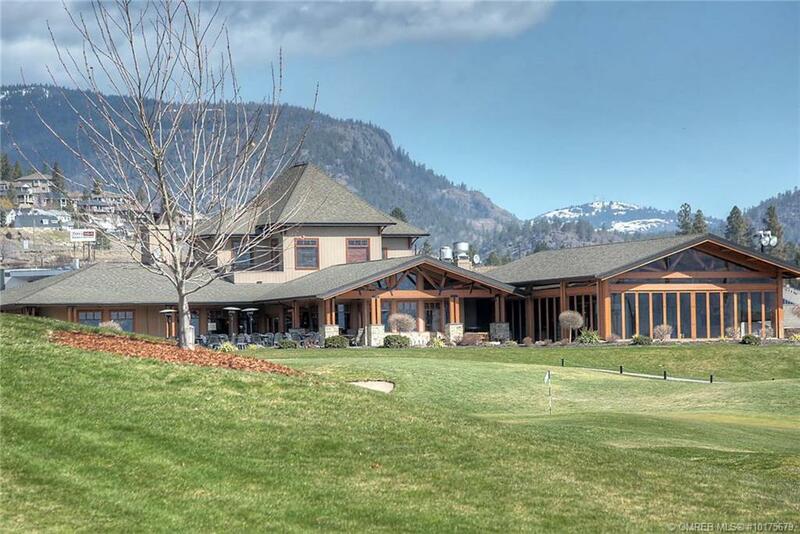 Aria is walking distance to one of West Kelowna’s best restaurants, 19 Okanagan Bar and Grill at Two Eagles golf course – as well as all other major amenities. 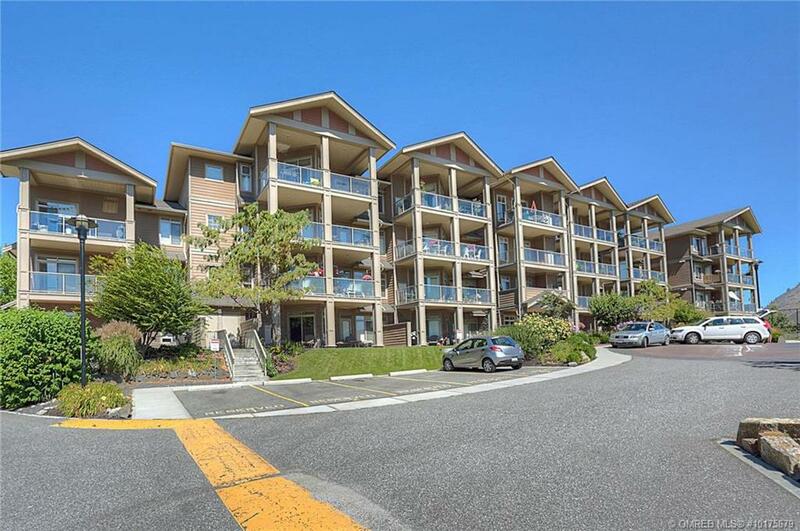 Property Transfer Tax not applicable, and no Speculation Tax! 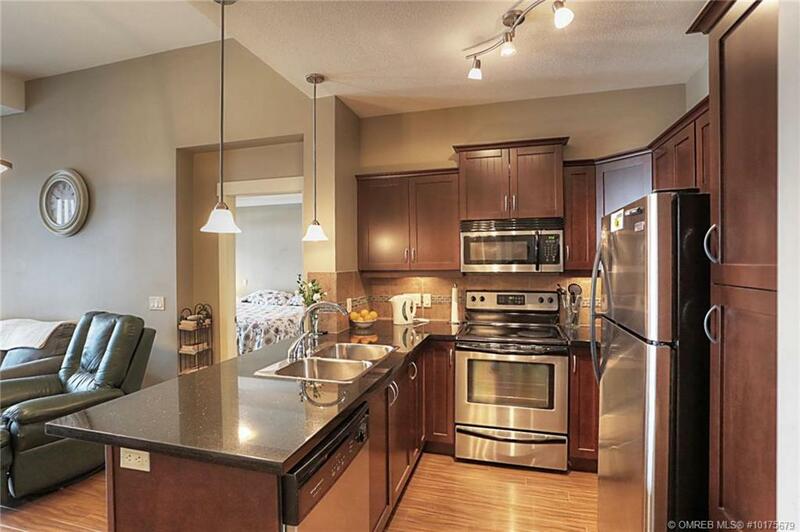 All this for under $320,000!